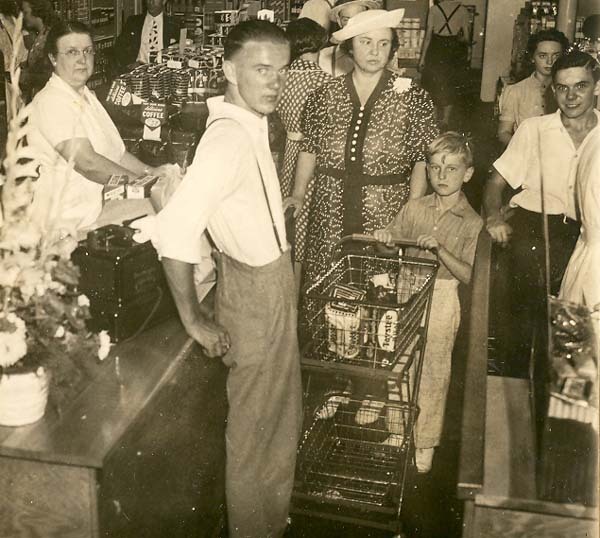 Former Columbus residents, Mr. and Mrs. James White opened their Sunbury Super Market in the first floor of the K of P building they recently purchased. 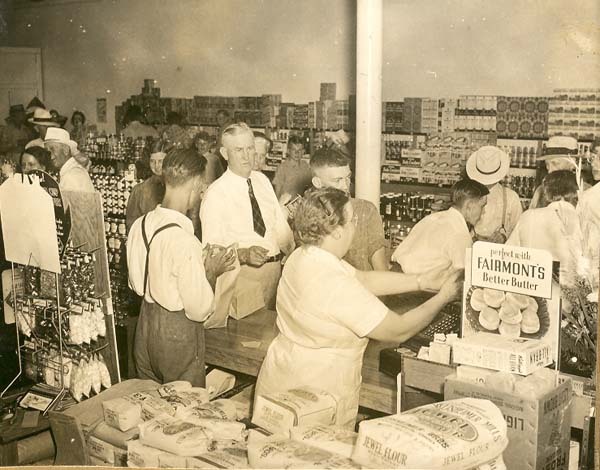 The Grand Opening on August 7, 1940, featured many special sales and twenty free baskets of groceries. This self-serve food market is the first "Help Yourself" store in eastern Delaware County and the first in any village this size in central Ohio. Mrs. Food Shopper enters the store where she finds her market basket on wheels which she pushes, like a baby buggy, around the store filling it with groceries, meats, fruits and vegetables. "We will do our best to give this community the finest of national advertised food at super market prices," Mr. White told The Sunbury News editor. With eighteen years of experience with a large chain organization in Columbus, Herbert Gall is in charge of the grocery department. Harry 'Spot' Payne is the manager of the meat market featuring Armour's, Swift's, and Falter's meats. Mr. and Mrs.. White and their daughter Ina Lee White are operating the market.